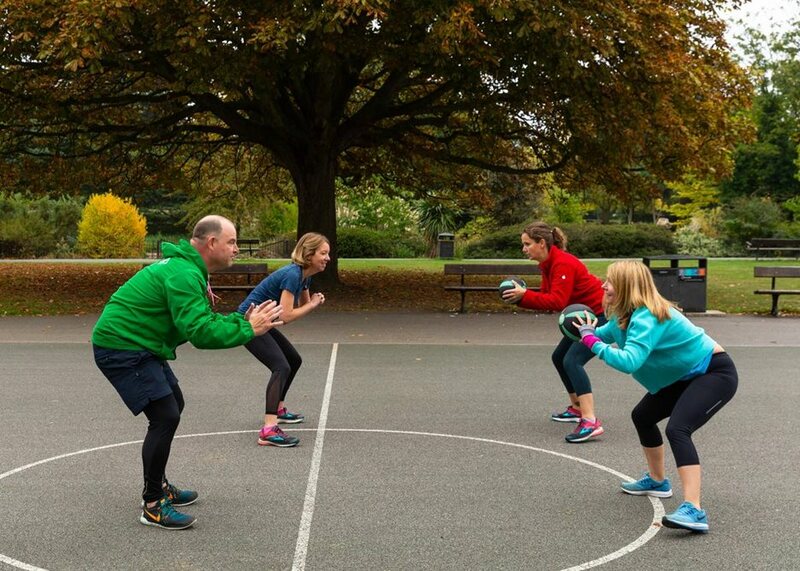 As the days grow warmer working out outside is becoming even more appealing, so it is ideal that on Tuesday morning I find myself walking through Ravenscourt Park at 9am for my class that is about to begin with POD Fitness. We couldn't have chosen a better day for it, the sun is shining through the trees and it is feeling like a summers morning as myself and Sophie assemble, ready for our class to begin. We kick the class off with some light stretching to warm ourselves up; Katie is our instructor for today's dynamic fit class, an all-round train resistance class that incorporates, cardio and core resulting in an effective workout for the whole body. Once the warm up is finished we move on to leg exercises and Katie has us bopping around till both Sophie and I are writhing on the floor, we'll definitely be feeling that squat burn tomorrow! POD's dedication to small personal classes is what gives them their unique selling point, each class has no more than four people and with a variety of sessions 6.30am - 10am Monday - Saturday, they are bound to have a session that is perfect for you! If it has been a while since you last exercised then POD is perfect, with intimate classes you can avoid the pressure of an instructor screaming incomprehensible words in your face before you find yourself sliding off you spin bike or twisting round a Pilates handle (anyone else?). POD work with three main instructors, Katie, Babis and Faris. Due to having the same trainers every week, they become familiar and the small classes mean you are guaranteed to improve on your overall fitness and understanding of how your body works, plus the limits it can be pushed to. Back to the burn, Sophie and I have just pushed through with an intense ab workout, is it possible to sprout abs in 20 minutes? It sure feels like it! To mix up the exercises Katie has Sophie and I playing basketball and shooting hoops, something I haven't done since school, but is a great way to relax the muscles and keep your body moving in-between exercises. The classes come rain or shine with only three cancelled classes in the last five years you can almost guarantee your workout will not be sacrificed. Feeling rejuvenated and raring to go after my class I decide it would be a shame to waste such a beautiful day and stroll through Ravenscourt Park. It has been so nice to workout outside for a change and the next time I find myself in West London I will definitely be signing up for another class with POD! Email places@portico.com for your Portico Places Card today!